Graduate Engineer Trainee Jobs in Anjan Drug | Walkin 12th May 2017. Anjan Drug walkin Recruitment for Trainee Engineers. Candidates who had completed BE, B.Tech can attend for this walkin which is on 12th May 2017. Interested people can check eligibility criteria, walkin date and venue in the below section. Anjan latest Job openings in Chennai for recruit Graduate Engineer contenders. Nowadays competition for these IT Jobs had increased excessively. So aspirants have to practice hard to ace this test with the help of Anjan Drug Aptitude Papers and Anjan Drug Syllabus which will give clarity to perform well in this organization. In this post, we have provided the complete details regarding Anjan Drug Careers 2017. Interview Date: 12 May 2017. Qualification: Only BE, B.Tech (Chemical) are eligible to attend. Experience: Fresher ( No standing arrears). Tamil Speaking is must and should. Salary: 16000 per Month + Accommodation Free. 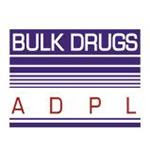 Anjan Drug Private Limited was founded in 1990 by Mr. C Kalaichelvan. It is one of India’s leading manufacturers of unique Active Pharmaceutical Ingredients (API) and also 25 years Old Bulk Drug Manufacturing company having 3 production facility around Chennai. More than 250 employees are working under Anjan Drug. Anjan Drug Walkin Recruitment 2017 for Trainee Positions in Chennai on 12th May 2017. Aspirants who are going to appear Anjan Drug Interview they can check the below mandatory details. We hope that the above Anjan Drug Recruitment information is useful for the job viewers. For more jobs data candidates can go through our web portal All India Jobs for prescribed information.